Grandson of the famous philanthropist, Jehiel of Pisa, whose charity did much to alleviate the sufferings of the Spanish exiles in 1492. Abraham was a worthy member of that distinguished family. 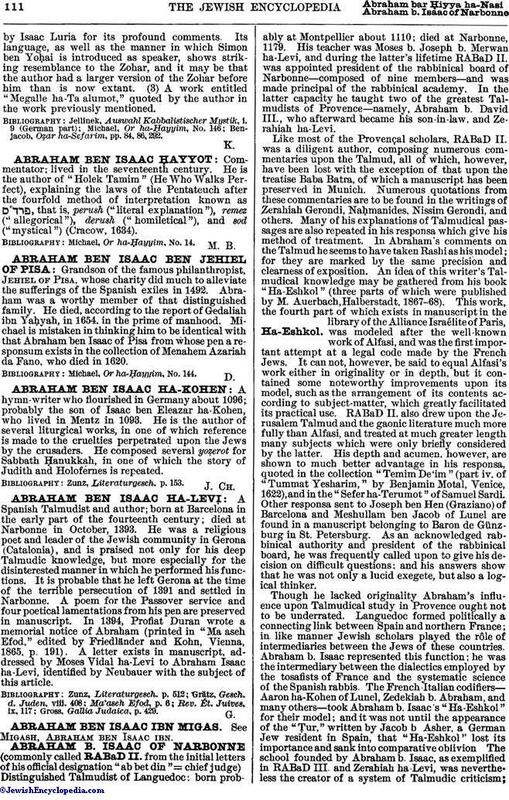 He died, according to the report of Gedaliah ibn Yaḥyah, in 1654, in the prime of manhood. Michael is mistaken in thinking him to be identical with that Abraham ben Isaac of Pisa from whose pen a responsum exists in the collection of Menahem Azariah da Fano, who died in 1620. Michael, Or ha-Ḥayyim, No. 144.